Three-way plug buried halfway in the ground at an angle. The side of plug with the prongs is angled upward. 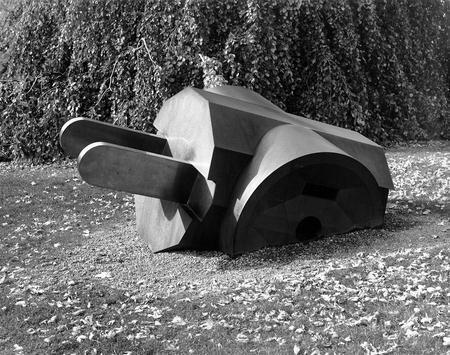 Location: 87 North Main St.
: Claes Oldenburg, “Giant Three-Way Plug,” Ohio Outdoor Sculpture Inventory, accessed April 18, 2019, http://oosi.sculpturecenter.org/items/show/843.